Our company name “Best Alternativa” is not chosen by chance. In 1996, the year the company was founded, there was not rice of high quality in Ukraine, that is why consumers did not know about the existence of different varieties of rice. We strive to improve the health of our consumers, providing them with rice of high quality, which is imported from around the world. Our product range includes: rice noodles, rice vermicelli, rice macaroni, rice flour, rice oil and cereals in bags for cooking. “Best Alternativa” offers a new approach for cooking healthy food –it is bags for cooking. “Best Alternativa” owns three trademarks. 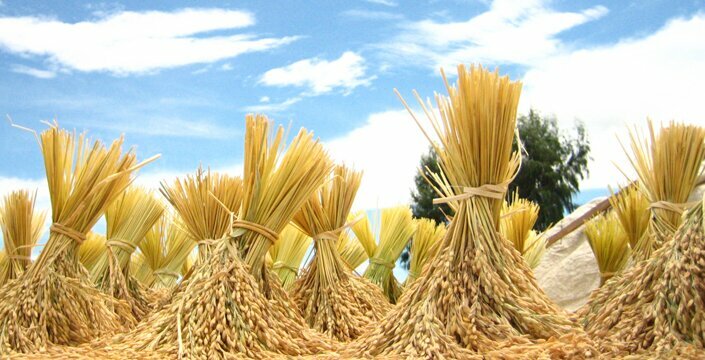 Under the TM “World's Rice” there are presented rice noodles, rice vermicelli, rice macaroni, rice flour, rice oil and elite rice varieties. Under the TM “Risse Pole” there is presented rice in 5-10 kg pack. The production is directed towards HoReCa (Hotel/Restaurant/Catering). Under the TM “Best Alternativa”there are presented rice in bags, buckets of rice 2 kg, rice and cereals in plastic packaging, cereal in bags for cooking. The principle “Only the best for our consumers” is the key to the success of “Best Alternativa”. Rice packing takes place on automated equipment, which has a hygienic certificate of Ministry of Health of Ukraine. Distinctive features of our products are the constant monitoring of quality and much lower price compared with imported products. Healthy life-style, a feeling of joy and quality products, these are the main components of the strategy of “Best Alternativa”.